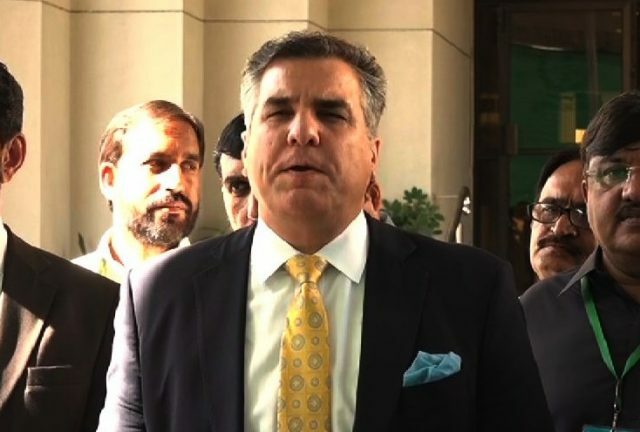 The Supreme Court on Thursday disqualified Pakistan Muslim League Nawaz’s (PML-N) leader and former federal minister for privatization Daniyal Aziz for five years in contempt of court case. A three-member bench of SC, headed by Justice Sheikh Azmat Saeed, conducted a hearing of the case in courtroom no.3. Justice Musheer Alam read out the verdict against Aziz. The former minister was convicted and sentenced under Article 204 of the Contempt of Court Ordinance,2003 of the constitution. The court ordered him to be “imprisoned” until the hearing adjourned. The verdict maintained that Daniyal Aziz humiliated the judiciary and judges. It added that he created hurdles in the provision of justice.